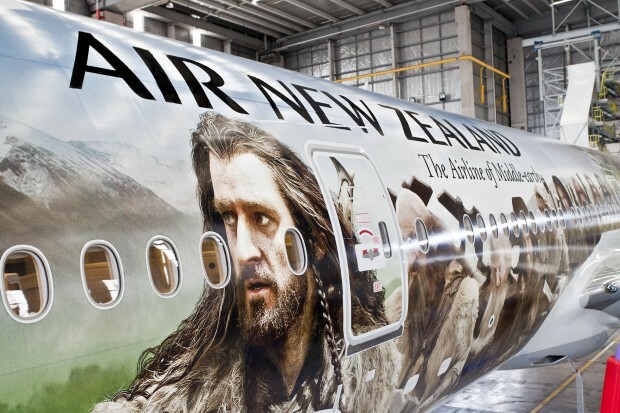 Air New Zealand on Saturday unveiled a plane “painted” in a livery inspired by Peter Jackson’s latest movie, “The Hobbit: An Unexpected Journey,” flying the Boeing 777-300ER (registration ZK-OKP) from Auckland to Los Angeles to London and back. 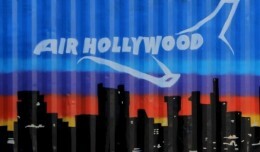 Air New Zealand has a two-movie partnership with New Line Cinema and Metro-Goldwyn-Mayer to be the “Official Airline of Middle-Earth.” The deal means that for the next two years, passengers travelling on Air New Zealand between Auckland, Los Angeles and London will be able to fly onboard this movie branded airplane. They’ll also get to watch the Hobbit-themed safety briefing video titled “An Unexpected Briefing” which has already been viewed more than 9 million times on YouTube. “The Hobbit” was filmed in New Zealand by Kiwi-born director Peter Jackson, as were his earlier blockbuster “Lord of the Rings” movies. “Air New Zealand has already proven their creativity and innovation with their delightful Middle-Earth inspired safety video, and now this extraordinary aircraft wrap,” said Sue Kroll, Warner Bros. Pictures’ President, Worldwide Marketing. 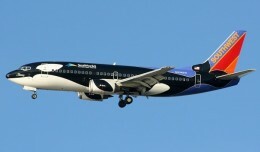 The plane also sports the airline’s new tail colors: black with a white Koru. 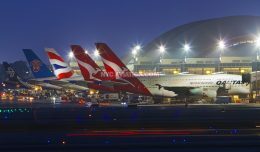 Air New Zealand is no stranger to creating bold special liveries for their fleet. Earlier this year, the carrier unveiled a special “All Blacks” 777-300ER in celebration of the World Champion All Blacks rugby team. The movie premieres in the US on December 14th.